Comments: Reported to be an excellent performer in the heat of the Deep South. Produces a pale ivory pink flowers with yellow centers. Provide a well drained soil and partial shade. 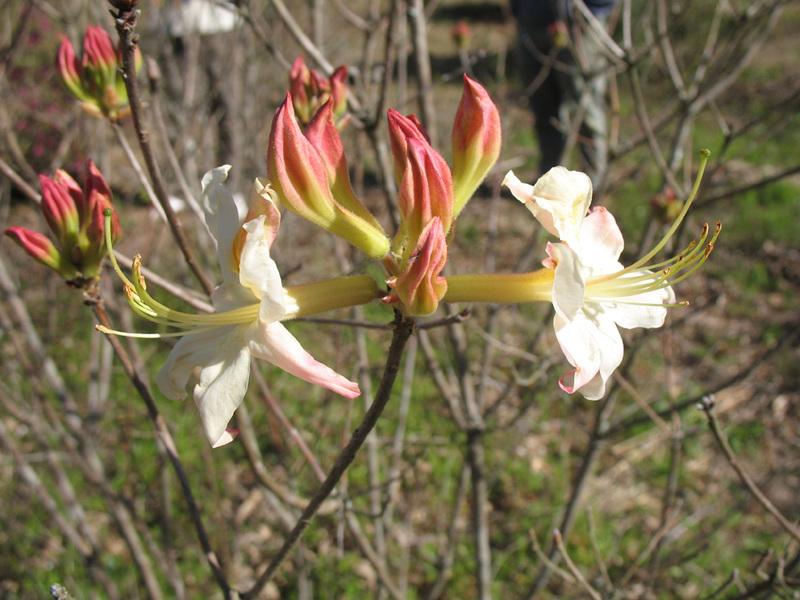 This azalea blooms a bit later than some of the deciduous azaleas.